column ⋆ 100% Private Proxies - Fast, Anonymous, Quality, Unlimited USA Private Proxy! ERROR: column “da2.dependency_device_name” must appear in the GROUP BY clause or be used in an aggregate function. I have created a Custom List which is acting as a corporate directory. Using the search box in the “Standard View”, it will only search certain columns. I.E. First Name and Employee Number. It won’t bring up any results if I search by Last Name. I created a Contacts list and the ellipsis icon is badged to my Last Name column. It currently sits to the right of my Last Name column. I want to either make the ellipsis icon column independent by itself, or make it appear to the left of my Last Name column instead. But they don’t appear to line up with my code. I was not able to find linkToItem="TRUE"
I have a protected range but I want to do the opposite of its function. I only want a user to be edit that specific range. So, how can I have them “view only” for the whole spreadsheet but edit one specific range? 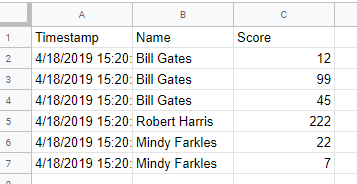 I know we can use table set properties to remove header part, is there anything similar to remove trailer and first column as well?